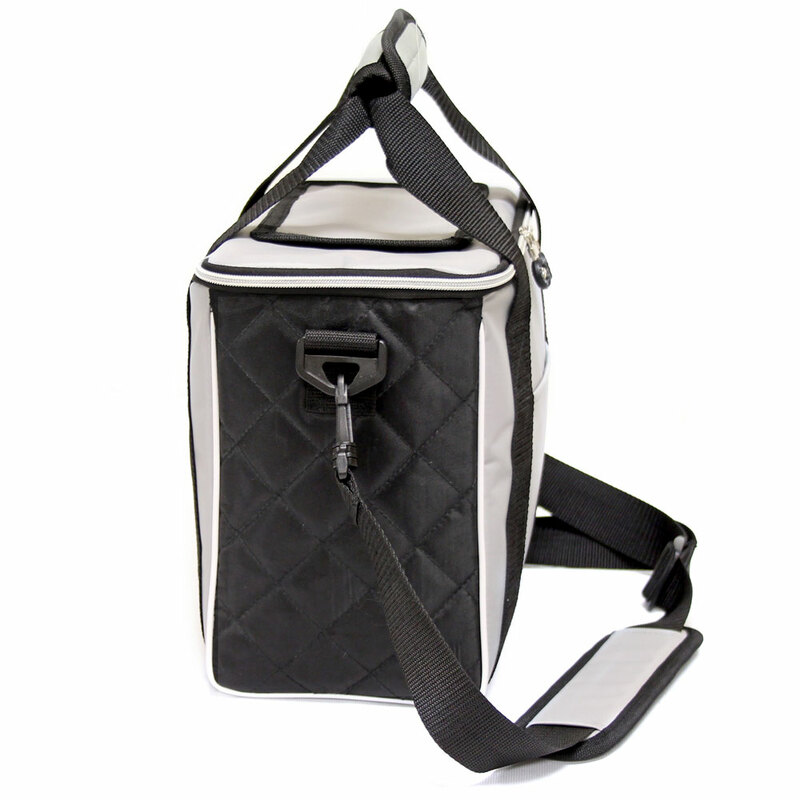 Enjoy your chilled drinks in style with this chic cooler bag. 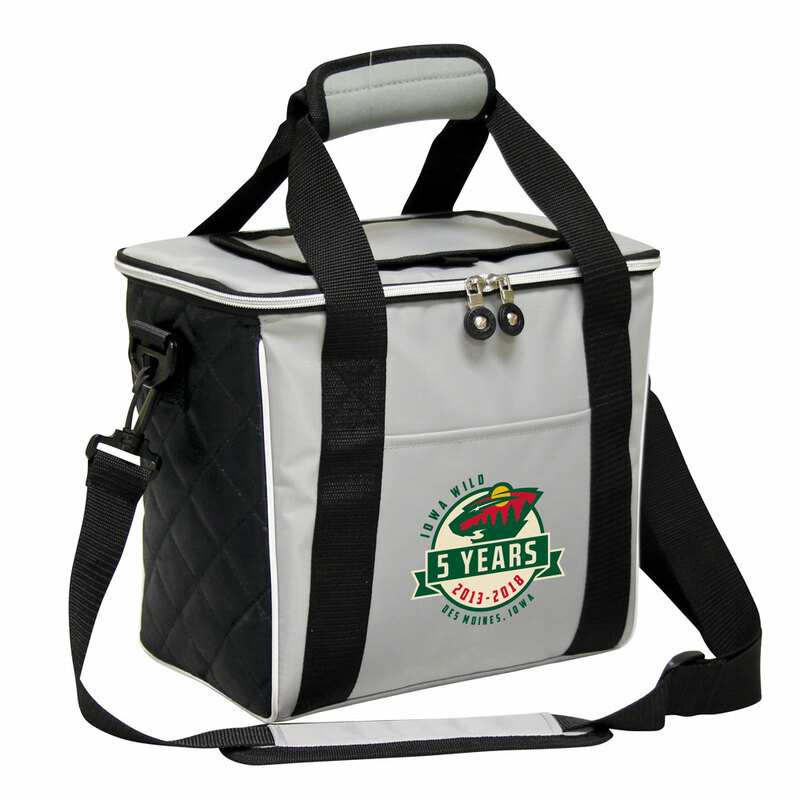 The cooler is made of 210D polyester with quilted side panels and a metallic zipper that really makes this cooler stand out! 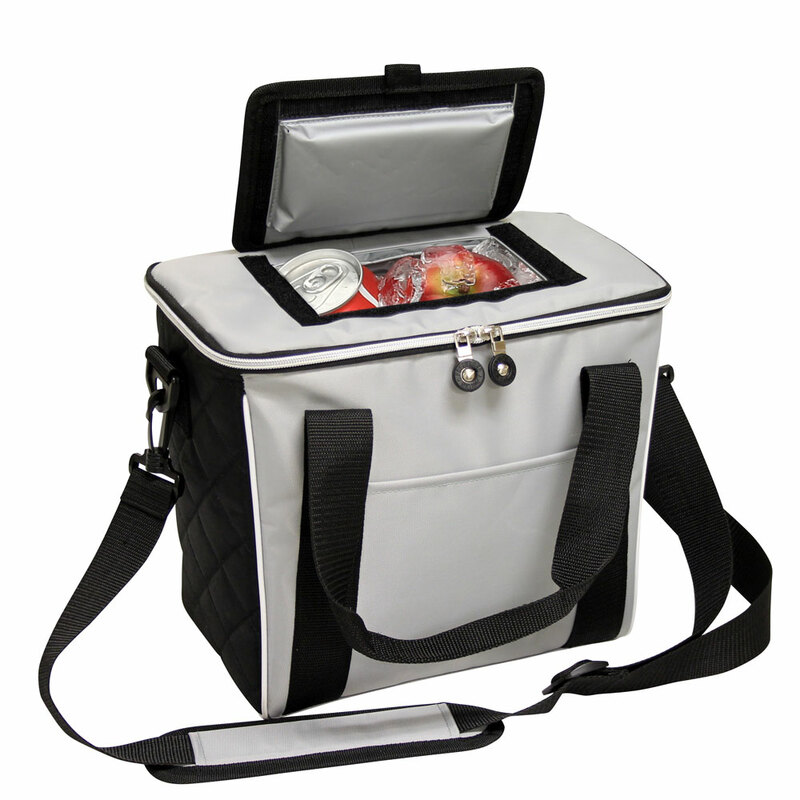 The top lid has a velcro opening for easy access to the main compartment and inside is PEVA lined & heat sealed. 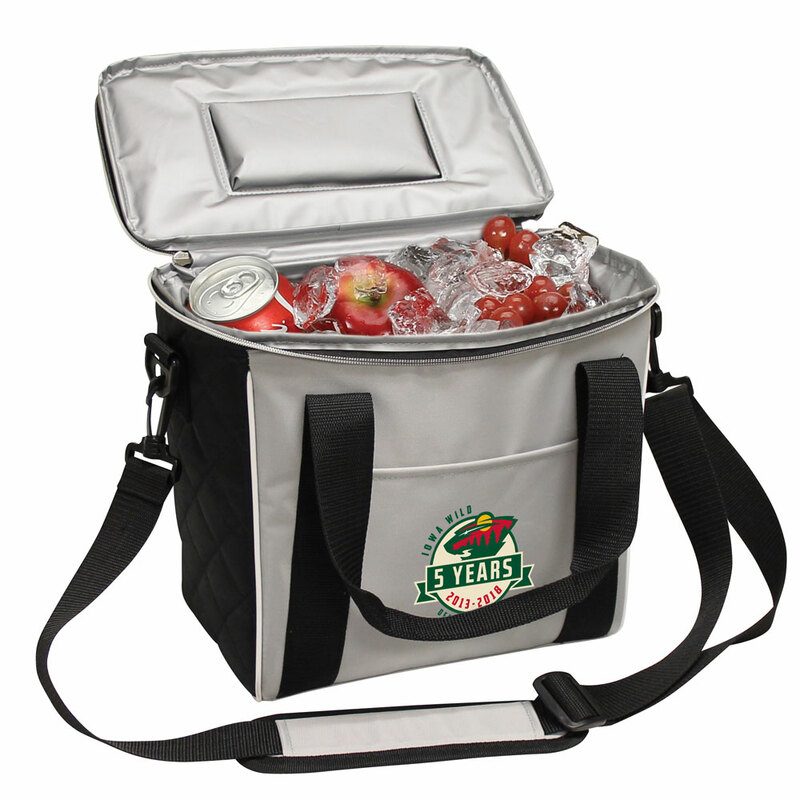 It can hold up to 18 cans and comes complete with carry handles and an adjustable shoulder strap.